Young Thug is back behind bars after failing a drug test. A Georgia judge revoked Young Thug’s bond during the arraignment in his felony drug case on Thursday (Nov. 8). He was ordered to stay clean as a condition of his release, but his drug test came back positive. The 27-year-old, born Jeffery Lamar Williams, was booked into DeKalb County Jail at around 8:30 a.m. PT. He is currently being held without bond. In September, Thug was charged with eight felonies stemming from an arrest in 2017. He was pulled over for over-tinted windows and cops discovered marijuana in the vehicle. 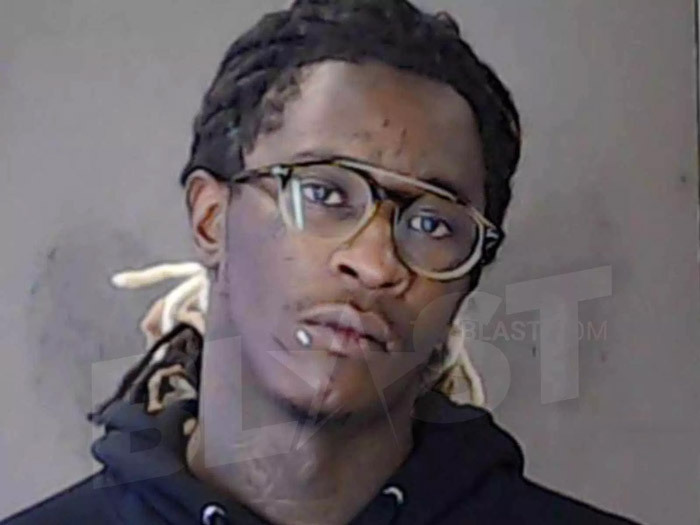 Thug is being charged with possession and intent to distribute meth, hydrocodone, and weed, as well as possession of amphetamine, Alprazolam, codeine (two counts), and a firearm.